I have yet to find a better Christmas album. This recording combines the efforts of assistant conductors Barlow Bradford and Mack Wilberg who did most of the arrangements. "Joy to the World, " Wilberg's arrangement, will knock your socks off. Absoluetly majestic. "The First Noel" is divine. Bradford's "Carol of the Bells" is an instrumental cacophony of sounds. I love the distinct dissonant harmonies on "What Child is This?" The album is loud and mighty as well as deep and intimate. Couldn't find anything that tops it! These angelic voices make you feel like you are at the nativity. All I have to do is close my eyes and listen and I am swept away across the plains of Galilee toward Bethlehem to witness the birth of Christ the Lord. I highly recommend this beautiful music! This album captures the beautiful blend between the choir and the orchestra that is typical of their live concerts. It is the perfect addition to any Christmas collection. 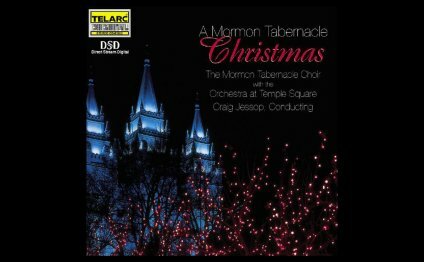 I recently attended one of the choir's Christmas concerts where many of these songs were performed, and this recording nearly matches the excitement of a live performance, and the crystal clear recording exceeds that of past recordings. BUY NOW!